Eating raw has become a way of life for many people, or, at the very least, a short-term diet to eat clean. For foods to be considered "raw," they cannot be cooked at a temperature higher than 115 F, which—it is believed—helps maintain the food's nutritional value and the enzymes important to our bodies' health. Proponents of this way of eating also claim there are other benefits, such as weight loss, increased energy, improved digestion, clearer skin, and a betterment of overall health. If you've been experimenting with raw vegan foods or are eating raw, you may be wondering where to start—and that means breakfast, of course. Considering many breakfast foods are cooked, you may be scratching your head as to what to eat, or maybe you are tired of the same old stuff. Of course, fruit, smoothies, and shakes are always great, but here are a few more ways to have a fabulous first meal of the day as a raw vegan. 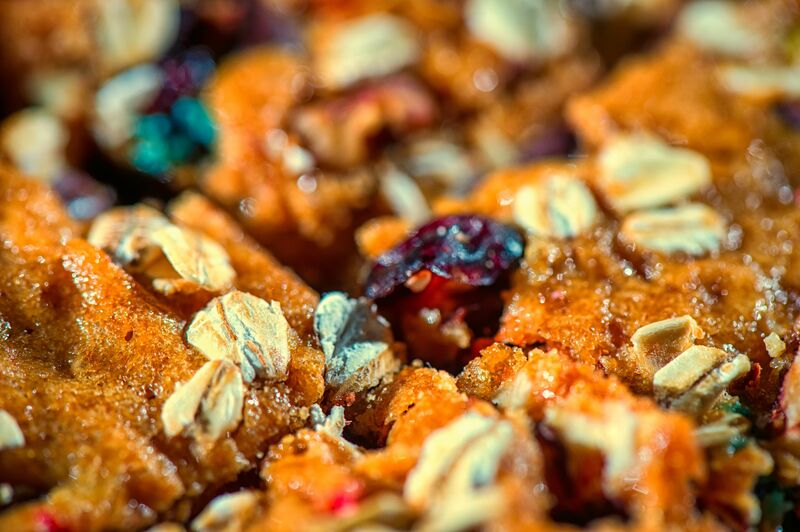 Cereal out of the box has never been a healthy choice, but a homemade cereal substitute made with nuts or soaked grains is not only good for you but also a great raw vegan way to start the day. Try a sweet and crunchy raw muesli recipe made with nuts and dates and topped with fresh fruit and nut milk or raw cashew cream. You can add a bit of coconut oil, which will take this delicious cereal to a whole other level. Whole steel cut oats can be soaked overnight to soften them up for a raw food breakfast. There's no cooking needed. Add nuts, fruits, dates, and cinnamon to make a bowl of oatmeal that can be gently warmed on the heating pad of a coffee pot or even in your dehydrator. Try a raw apple cinnamon oatmeal combining oats and dates topped with cinnamon and nutmeg-spiced apples. Make up a raw foods granola using goji berries and buckwheat. And, although not exactly a cereal, you could also try a raw trail mix for breakfast. Pair either of these with a homemade raw nut yogurt for a satisfying start to your day. How can we talk about healthy raw vegan food breakfasts without mentioning fruit smoothies and green smoothies in particular? Both are so energizing, revitalizing, and nourishing that you won't even think about missing your morning coffee. Try a raw green smoothie with orange juice or a green smoothie with pineapple, or for a treat, a raw banana carob smoothie or even a creamy raw chocolate shake. Coffee is definitely out when eating raw, but how about an herbal tea or a nice cup of spiced Indian chai made with whole spices and ground nut milk? Cashew milk or almond milk are always nice to have on hand to sip or add to cereals or smoothies.